Imagine the stunned silence…the sideways glance…the “And you are…?” that is sure to follow. The hardest thing to imagine would be that strategy succeeding. In real life, we take time to get to know someone before asking them for a favor. We take an interest in them as a person. We try to do something nice for them. After a good long time, we might lay a big ask on them—once we could make a compelling case for doing so. All of this is a no-brainer in real life. It’s instinctual. Yet many marketers are asking influencers to help them load a moving van before they’ve even been introduced. Why not apply what we instinctively know about relationship-building to influencer marketing? 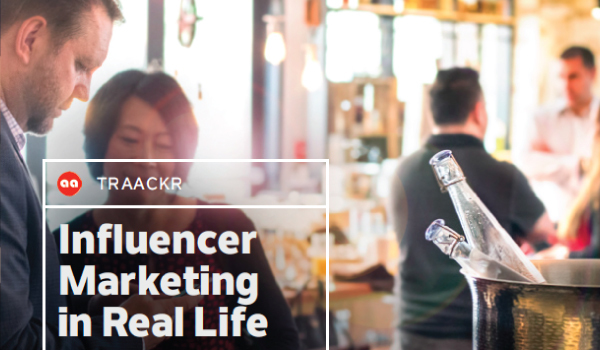 Our friends (and clients) at Traackr are dedicated to helping marketers improve their influencer marketing—to create relationships that are meaningful, lasting and mutually beneficial. They wanted to demonstrate how IRL (in real life) social skills could translate to influencer marketing. So, with our help, they invited influencers and brands that rock influencer marketing to get together. In person. To hang out. 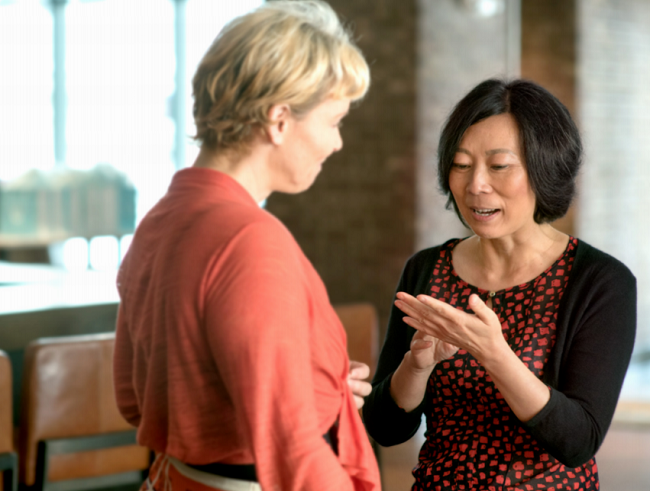 They met over brunch to exchange ideas, offer their expert perspectives, and contribute to the conversation in a new eBook. 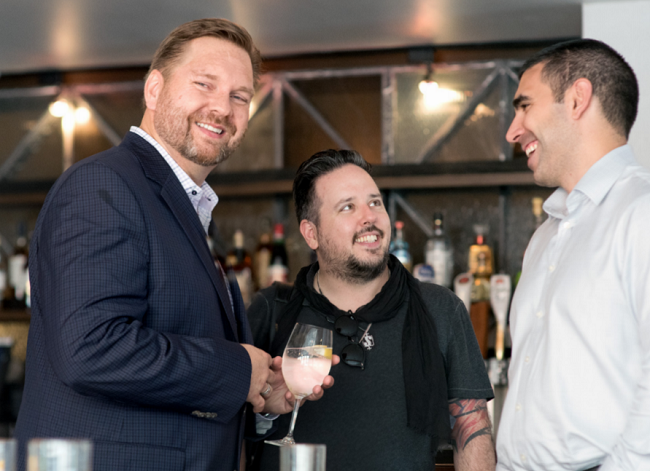 That’s our CEO, Lee Odden, chilling with LinkedIn Global Content Marketing Leader Jason Miller (client) and Citrix’s Head of Global Social Media Justin Levy. And Global Content Marketing author Pam Didner sharing intel with Toprank Marketing President Susan Misukanis. It was a pretty impressive gathering of people who have a proven influencer marketing track record. While we can’t all kick back and sip mimosas with top influencers, we can still listen in on the conversation and learn. Influencers are looking for brands with a relevant message, compatible point of view, and intriguing new audience to explore. Brands are seeking influencers who are knowledgeable about the brand’s subject of interest and influential with a particular kind of audience. Shared values and goals are important as well as appreciation for the work, whether it’s through recognition, compensation or a combination of the two. It’s worth taking the time to see if you’re a good fit before reaching out to an influencer. Just like in real life—there are super cool people out there you may admire, but if they hate camping and you go camping every weekend, it’s going to be hard to hang out together. No harm, no foul—just find someone else to share your tent. Sometimes the most influential subject matter experts aren’t out in the wild. Rather, they’re right inside your company. If you are one of those experts, let it show. Keep a blog. Engage on social media. Post on LinkedIn Pulse. When you build up a body of work, bring it to the marketing department and see where there are opportunities to demonstrate your expertise. If you’re looking for internal experts, seek out the people who are going places but haven’t got there yet. “It’s likely easier to get a meeting with a senior director than securing time with a VP,” Tim Washer says. Start the relationship early and let it bloom as they advance through the ranks. In addition to compatible goals and point of view, influencers and brands need to make sure their audiences are mutually compatible. Will the influencer content resonate with the brand’s audience? Will the influencer’s audience warm to the brand? It’s a delicate chemistry—and it’s vital to make sure the relationship will work for everyone before you invest in a relationship. Here’s where the “IRL” theme really comes into play. How do you build relationships in real life? You invest time in getting to know the person as well as you can. You discover shared interests. You use what you’ve learned about them to be useful, delightful, or both. Generally, you let them know you care. The discussion in Influencer Marketing in Real Life covers each of the above points in detail, straight from the people who are either sought-after influencers, or marketers who successfully form relationships with influencers. After these first steps, the book goes deep into advanced influencer relations—how to co-create content, maintain enthusiasm, and even how to navigate compensation. It’s a lot like sitting in the corner of a room full of brilliant influencers and marketers, soaking up the conversation. Only in eBook form. The plus side is you don’t have to put on pants. The down side is you have to supply your own cocktails. The team at TopRank Marketing was proud to work with Traackr on this deeply groovy, seriously informative eBook. And I’m pleased to recommend it to anyone looking to get real with their influencer marketing. Download Influencer Marketing in Real Life for much, much more. Well said Joshua. I just love the way that this drives for re-grounding people in the basic principles of real human authentic engagement. I think it is also important to know that truly building a network of influence and impact is not easy work. It takes time and effort and strategic planning to set the right path. Absolutely, thanks for your thoughts. We have had a lot more success than others simply by treating influencers as people and respecting their wants and needs.